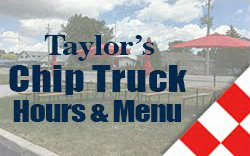 Located in Wheatley, Ontario, Taylor Fish Company has been a family owned and operated for four generations. From the boat, to the processing plant, to the personal service, we take the greatest care in providing families with the highest quality freshwater fish anywhere. 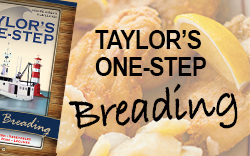 Up at the crack of dawn, the fisherman of the Taylor Maid head out from the shore of Lake Erie to make the fresh catch of the day. 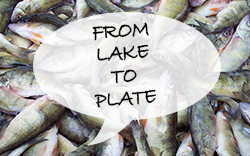 The catch they are after – yellow perch and pickerel. 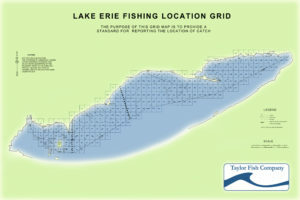 The process starts with deciding where to set their nets in the lake to get the optimal catch. Fishermen have many ways to figure out the prime spot to set their nets. They use graphs, navigational instruments, depth sounders, weather forecast, and many other techniques that are passed down from generation to generation. 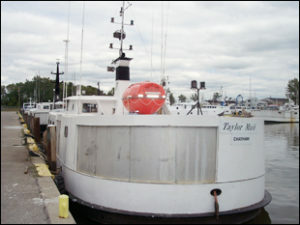 Once the boat and crew are at their prime fishing spot, they begin the process of setting their nets. One of the crew members stands at the back of the boat with a tray of nets and quickly uncoils the tray out of the back of the boat. The captain must make sure he drives as straight as possible, as nets are set in a grid-like format. Many other boats may be setting near the “sweet spot”, so they have to make sure the lines don’t get crossed! The nets sit in the water lengthwise and stretch out for more than one hundred feet. To keep them from getting tangled in the water, the nets have lead weights that sink the bottom and a plastic cork that keeps the top floating. Fishermen set various sizes of webbing to catch different sizes of fish. As the perch and pickerel chase their meal of smelt toward the net, the smaller smelt easily swim through, leaving the larger perch and pickerel to be caught in the web. The boat returns to the nets hours later to retrieve their catch. As the nets are pulled into the boat, the fish are picked out of the nets and sorted by species and size. To keep the fish cold and fresh, they are covered in ice. The boat heads back to the harbour where the crew weighs the days catch into 100 pound tubs. Once their catch is weighed and recorded, the fish are dumped into bigger totes that hold more than 1000 pounds and transported off to the processing plant.